Song worksheet working on vocabulary. It can be used either with the videoclip or just with the audio. Activities such as fill in the gaps, ordering sentences or correcting mistakes are used. 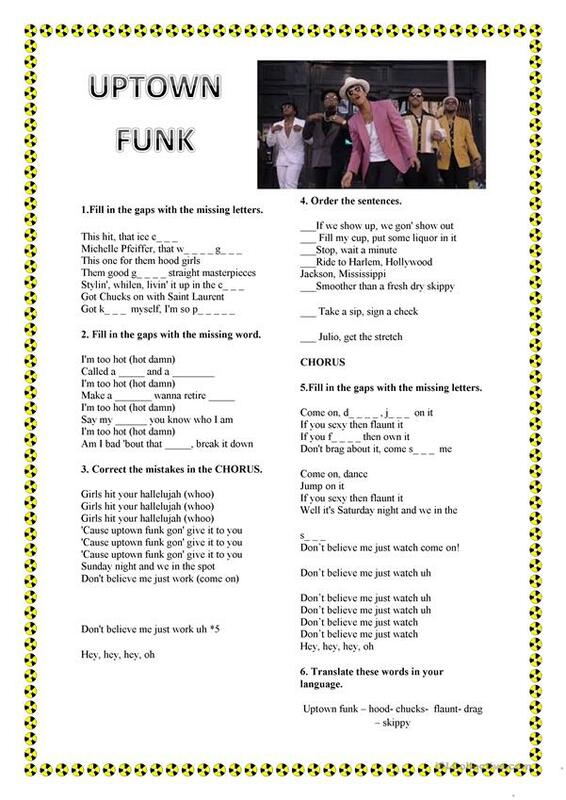 You can also work on some phrasal verbs appearing on the song. The above downloadable worksheet is a great resource for high school students and adults at Beginner (pre-A1), Elementary (A1), Pre-intermediate (A2) and Intermediate (B1) level. It is a valuable material for strengthening your groups' Listening and Speaking skills.